• “And here’s the thing. The Gospel is a fairy story that’s true. There really is a curse. There really is a dragon. But the amazing thing is: God sent His son.. And those who trust Him will live happily ever after. • Why the need to tell this story? • Because many people outside the church have our story wrong. The ending of the gospel story for believers in Jesus is truly to live happily ever after. There will be trials on the journey, but the trials will end. Heaven is a certainty. All wrongs will be righted, all hurts healed. Rewards will be given for every kind and brave deed. All heaven will applaud. • But not everyone has heard the true story. • Without that hearing, people believe distorted stories. The God of love and compassion is portrayed as a despot arbitrarily inflicting pain on people the same way a small boy tortures bugs. Other false reports assert He’s lost interest and has walked away, leaving His children to fight and squabble without hope of justice or resolution. In the saddest tale of all some people don’t believe their lives are part of any story, but simply a blot of sadness, scribbled without hope and shortly erased. • In the book of Joshua, God was with the whole nation as they conquered the land. Joshua died and passed on leadership to……. • That’s the first problem—he didn’t. • Judges 2:7 The people served the Lord throughout the lifetime of Joshua and of the elders who outlived him and who had seen all the great things the Lord had done for Israel. • 10 After that whole generation had been gathered to their ancestors, another generation grew up who knew neither the Lord nor what he had done for Israel. • Judges 2:1 Then the Israelites did evil in the eyes of the Lord and served the Baals. 12 They forsook the Lord, the God of their ancestors, who had brought them out of Egypt. They followed and worshiped various gods of the peoples around them. They aroused the Lord’s anger 13 because they forsook him and served Baal and the Ashtoreths. 14 In his anger against Israel the Lord gave them into the hands of raiders who plundered them. He sold them into the hands of their enemies all around, whom they were no longer able to resist. 15 Whenever Israel went out to fight, the hand of the Lord was against them to defeat them, just as he had sworn to them. They were in great distress. • Then the Lord raised up judges, who saved them out of the hands of these raiders. 17 Yet they would not listen to their judges but prostituted themselves to other gods and worshiped them. 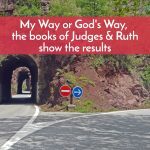 They quickly turned from the ways of their ancestors, who had been obedient to the Lord’s commands.18 Whenever the Lord raised up a judge for them, he was with the judge and saved them out of the hands of their enemies as long as the judge lived; for the Lord relented because of their groaning under those who oppressed and afflicted them. 19 But when the judge died, the people returned to ways even more corrupt than those of their ancestors, following other gods and serving and worshiping them. They refused to give up their evil practices and stubborn ways. • We need to think carefully about what we are passing on, enabling others to do. • Natural disasters—is a trend, how do we react? • Knowing God’s Word and trusting Him the only sure guide. • Jephthah—clarify his story, an illegitimate son, called to be a leader, vowed to give to the Lord whatever came out of his house when returned victorious—his only daughter—did not sacrifice as to kill her, dedicated her to perpetual service, virginity in God’s service—cutting off his line. • Also, some awful stories of what happened…. • Caleb’s nephew and son-in-law—early in the book, proved to be a successful warrior—won city, won Caleb’s daughter. • Gideon protests—if God is with us, why all the problems? Angel doesn’t answer, simply calls him to be the deliverer. • Then the situation with the fleece…. • Then the Lord reduces his army from 22,000 to 300 and give them a great victory! • His son, Abimelech kills all his brothers is a tyrant until dies in battle. But the hair on his head began to grow…..
• Both temples share a unique design; two central pillars supported the roof. The pillars were made of wood and rested on stone support bases. With the pillars being about six feet apart, a strong man could dislodge them from their stone bases and bring the entire structure down. Why did it go so wrong? • We are created beings and we function best when we do things the way our Creator intended. • The wonderful news is that Our Creator knows what is the very best for us. • Promised a Savior when humanity sinned and the entire OT that we are studying is one long story of the preparation for the birth of Jesus who would be that Savior. • When Jesus came to earth, he was God in human flesh. • People wonder what God is like—look at Jesus. • He was fun at a party; kind to the hurting; he healed sick people, fed hungry people, was a teacher who knew his scriptures and traditions, but who put new meaning and understanding into them when he preached. • We have a choice—no matter what might be happening in our crazy world, individual actions matter. 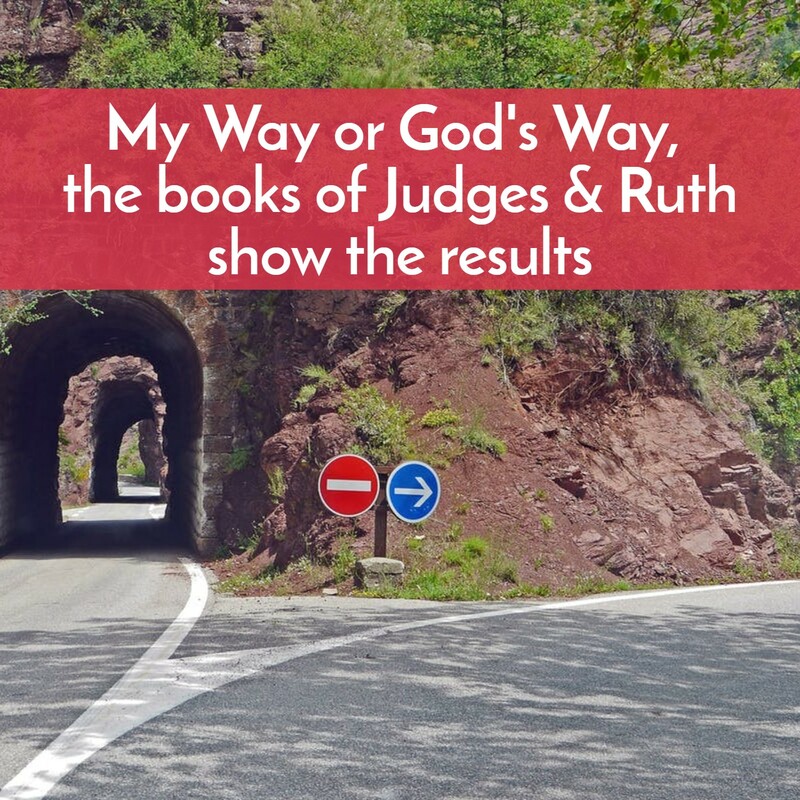 • None of us see our part in the Great Story God is writing, but all of us like the Judges, like Ruth can simply trust God as clearly as we understand his will in daily tasks, as Ruth did and willing to follow him in ways that might seem impossible as victory did for Gideon.